Most meetings last about an hour and are held on a regular basis at the same time and place every week. The Intergroup office maintains a complete "Meeting Schedule" of all these meetings for the Augusta area and the CSRA. We will publish a new edition whenever there are changes at the discretion of the office manager. However, the current "Meeting Schedule" is available on this website. Some groups do carry these schedules as a service to the members; if one is not available at the meeting, ask the literature chairperson of the group to pick up a few. A word about meetings: you have nothing to fear about meetings. People who go to meetings are people who have a desire to stop drinking. Go to the meeting early; generally members of A.A. are there making coffee, setting up the room and the display for the literature, and fellowship. Stay after the meeting to continue to talk and share (also known as the "meeting after the meeting"). If you are new, ask for telephone numbers at every meeting you attend. A regular open meeting is generally around-the-table discussion on some topic relating to alcoholism. There will be a chairperson and generally a leader. Someone will read a section from the book, Alcoholics Anonymous (we refer to this text as the "Big Book") on "How It Works." The leader will then introduce the topic. A regular closed meeting is the same as the open meeting with the exception that only people with a desire to stop drinking, or people who think they may have a problem with drinking, may attend. What sobriety means to their life now. 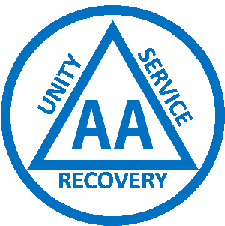 A Big Book Study is specifically designed to help us to improve our understanding of the book, Alcoholics Anonymous - a good meeting for members new to the program. A Step Study would concentrate on examining in detail the 12 Steps of Alcoholics Anonymous, the core of the program. Many of the members of A.A. find these steps to be the solution to the illness of alcoholism. The "Meeting Schedule" indicates the type of meeting.